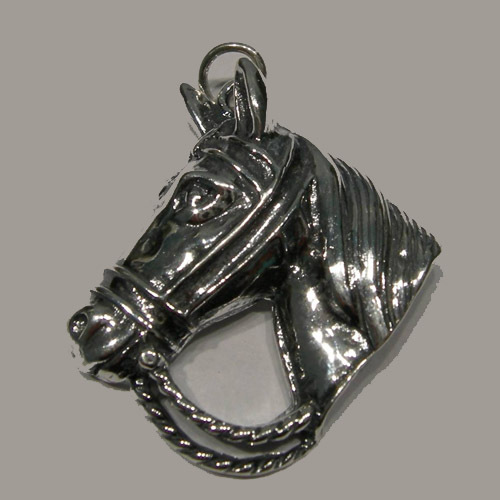 Desc: Sterling Silver horsehead in bridle pendant. The reins are twisted rope design and hang down below the neck. The horse has a full mane. The pendant has a bright polish finish.